Memorial Services are special prayer services offered for the benefit of the departed. 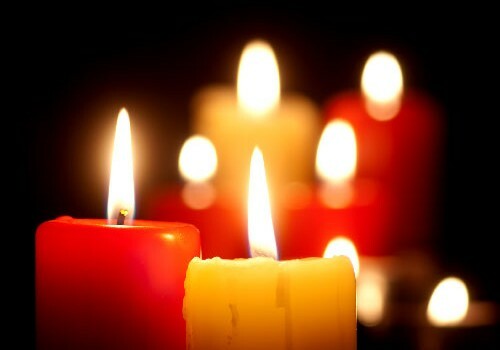 In the Orthodox Church there are various prayers for the departed souls to comfort the living and to remind those who remain behind of their own mortality and the brevity of this earthly life. On the third day after the death and the deceased are celebrated for having received flesh and blood through the Trinity, it is hoped that he/ she will be changed back to the ancient beauty of man before the fall from heaven. On the ninth day, the service celebrates the unity and coming together of the person’s’s spirit with the holy spirit and( add) the angels. First anniversary of death. The third, sixth and ninth months are also celebrated to proclaim the Trinity, the God of all and His glory and on behalf of the deceased. For by the Trinity a man is fashioned and when he is loosed from the body he returns to Him and by the Trinity he hopes for the resurrection. Thus we also perform memorials at the end of the first year because we proclaim the Trinity and the 12-month year is divided into four trinities. Additionally, the end of the year is celebrated because it is the consummation and our God the Trinity is the Life of all and the cause of being and He shall be the restoration of all and the renewal of human nature. Third anniversary. However some request a memorial every year on the anniversary of death. Each year the relatives observe the memorial of the departed to demonstrate that he lives and is immortal of soul and he shall be restored when the Creator raises up his body. Offering Boiled Wheat (Kolyva) bears witness that, Christ died in according in the flesh, was raised up and lives on. Thus, we will too.